While it’s true that very little foreign-language literature (i.e., not English) gets translated into English, and while it’s also true that foreign-language book markets are dominated by a disproportionate percentage of English-language titles, it’s no less true that some English-language books deserve to reach an audience outside their native homeland, but for some reason or other fail to do so. 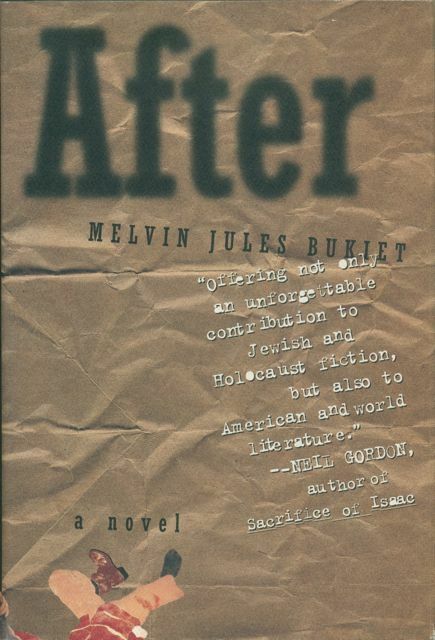 One such book, I believe, is Melvin Jules Bukiet’s wickedly funny novel After, published in the US by St. Martin’s Press in 1996. A black comedy set in the immediate aftermath of the Second World War – after the liberation of the concentration camps –, it follows three former inmates as they start wheeling and dealing on the post-war German black market, before their leader becomes set on stealing a four-foot cube of gold from a military camp (you can guess where the gold came from) and making their way to Far Rockaway. It’s a darkly comic picaresque tale which, despite its setting and subject matter, thrives with life and real humanity, and that’s what’s great about it: it’s because these characters are not saints or martyrs that they are actually human, and that in turn is what gives them life as characters. Needless to say, Bukiet, who is himself the son of Holocaust survivors, adopts neither the pious nor the reverent approach to be found in most Holocaust literature. And though one need certainly not exclude the other, Bukiet’s approach is certainly refreshing, and probably more honest than many more conventional novels. To the best of my knowledge, although a German translation by one Benjamin Schwarz has been published by Luchterhand Literaturverlag as Danach, the novel has been translated neither into French nor into Dutch, although why this is is a mystery to me given how good this book is.